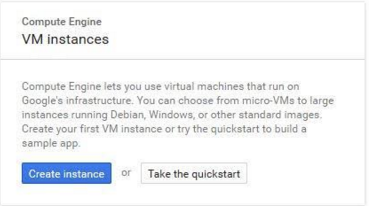 Google Compute Engine (GCE) lets you create and run a virtual machine (VM) on the Google infrastructure. The VM can be used as an origin server with your Fastly service once you set up and configure your VM instance and link your instance to a Fastly service. 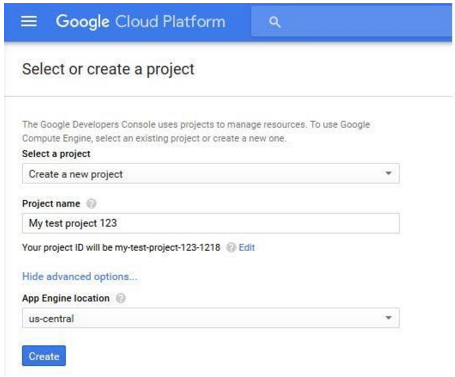 TIP: Google offers an integration discount that applies to any Google Cloud Platform product. If you’re a Fastly customer and would like to take advantage of this discount, email salesgcp@fastly.com. Sign up for Google Compute Engine and start the basic set up. If you are already signed up and at your dashboard, click the Get started link in the Try Compute Engine area. Create or select a project to hold your origin's data. 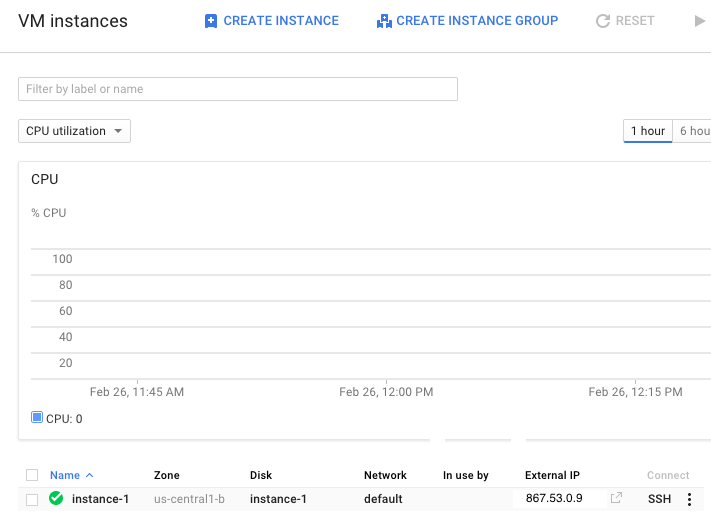 Click Create instance to set up your VM. You can set up your instance using either Windows or Linux. Fill in the necessary fields and click Create. When making your firewall selection, select either Allow HTTPS traffic (port 443) or Allow HTTP traffic (port 80); you will use one of those ports when you create your new origin in your Fastly service. If you select HTTPS traffic, you need to configure the VM to respond on port 443 with a valid TLS certificate. The instance's IP address (located in the External IP column at the bottom of the page). You'll use this in the Address field when you create your new origin. The zone you are using (located in the Zone column at the bottom of the page). You'll use this to guide your selection of an appropriate shielding location for your origin. Link your GCE account to a Fastly service following the steps below. Create a new service if you don't already have one set up. In the Name field, type the name of your server (for example, Google Compute Engine). In the Address field, type the IP address of your server. This should match the port that you selected in the GCE interface. From the Shielding menu, select an interconnect location from the list of shielding locations. Interconnect locations allow you to establish direct links with Google's network edge when you choose your shielding location. By selecting one of the locations listed below, you will be eligible to receive discounted pricing from Google CDN Interconnect for traffic traveling from Google Cloud Platform to Fastly's network. Most customers select the interconnect closest to their origin. Review our caveats of shielding and select an interconnect accordingly. Click the Create domain button. The Create a domain page appears. In the Domain Name field, type the name that users will type in their browsers to access your site. 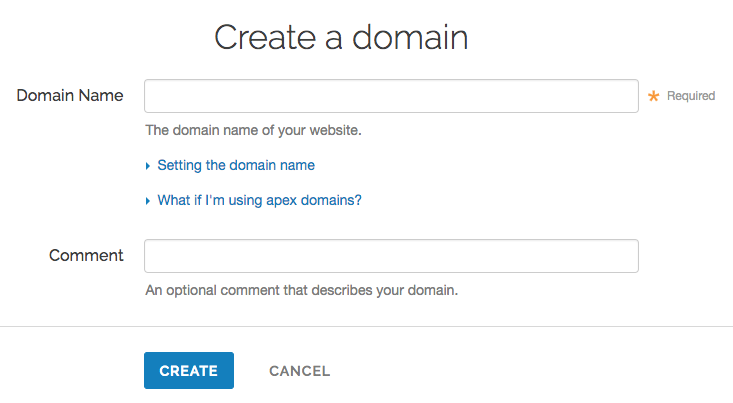 In the Comment field, optionally type a comment that describes your domain. Click the Create button. The new domain appears on the Domains page. You can now test your configuration. In the example above, your domain would appear as www.example.com.global-nossl.fastly.net. After you test and you're satisfied with the results, create a CNAME record for your domain (e.g., www.example.com) pointing to global-nossl.fastly.net. This article describes an integration with a service provided by a third party. Please see our note on integrations.